Chewy, bouncy noodles in a sweet and tangy gochujang sauce with lots of fresh, crunchy vegetables! 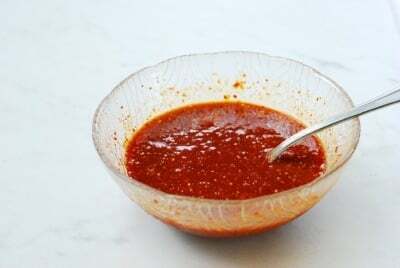 Combine all the sauce ingredients in a small bowl, and mix well. 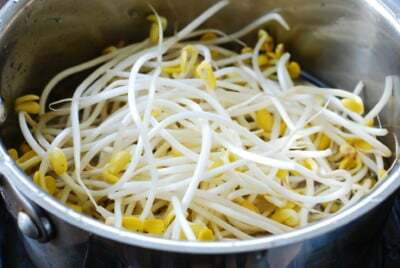 Bring 2 cups of water to a boil, and add the soybean sprouts. 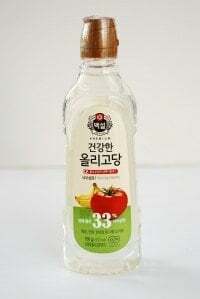 Close the lid, and cook for 3 to 4 minutes. Quickly transfer the sprouts to a bowl of cold water to cool, saving the cooking liquid, which can be used as a soup. (See note.) Drain the sprouts. Thinly slice the cabbages, and cut the carrot and cucumber into matchsticks. Bring a medium pot of water to a boil. Cook the noodles according to the package instructions (usually about 5 minutes). 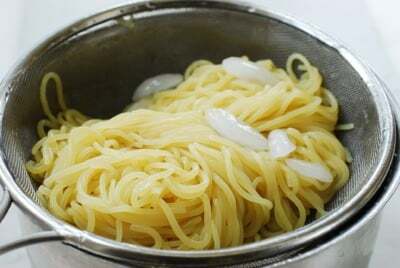 Drain quickly and rinse in icy cold water until the noodles are very cold. Make two one-serving size mounds. Place the mounds in a colander to drain. 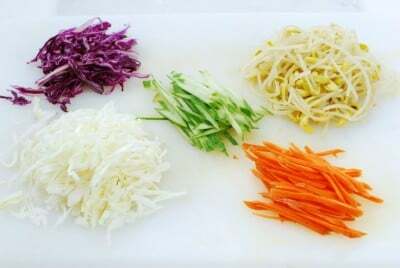 Place the noodles in the middle of a serving bowl and nicely arrange the cold vegetables over the noodles. 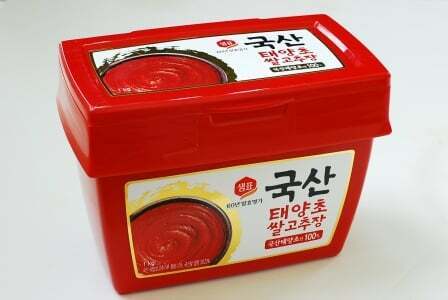 The sauce can be served on top or separately. 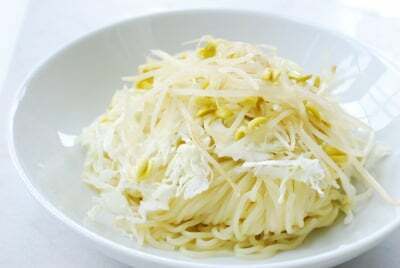 You can also mix the noodles and vegetables with the sauce before serving. Place a half of the boiled egg on top to serve. 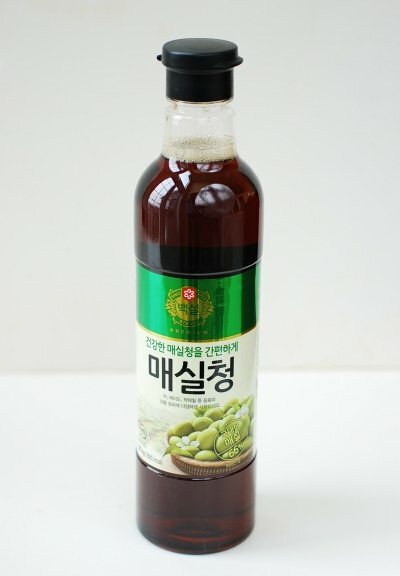 You can make a soup with the liquid used to cook soybean sprouts. Drop some cooked soybean sprouts in, and season with salt and pepper. Add some chopped scallion. The mild soup will be great with this spicy noodles.